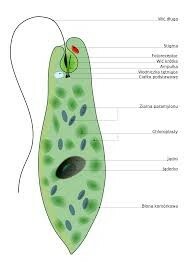 The Euglena gets its food by photosynthesis and it absorbs nutrients. The euglena moves by flagellum. The euglena reproduces by asexual binary fission. It responds by using its eyespot. The Amoeba gets its food by surrounding tiny particles of food with pseudopods. 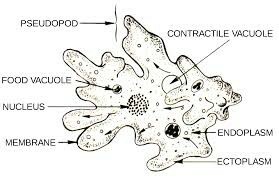 The amoeba moves by changing it shape of the body. It reproduces by the binary fission. It responds to it environment by osmosis and it turns into a cyst when conditions are bad. 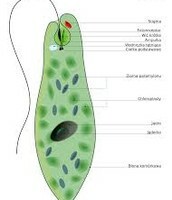 The paramecium gets its food by cilia to sweep food into its orialgroove. It moves by cilia. The paramecium reproduces by sexual and asexual conjugation. It responds by avoidance behavior. It sends out cytoplasm called trichocyst.